April 17 is the feast day of Benedict Joseph Labre who was called “a patron saint for failures.” He was rejected as unsuitable by all the monastic orders to which he applied, several of them suspecting him of mental illness. 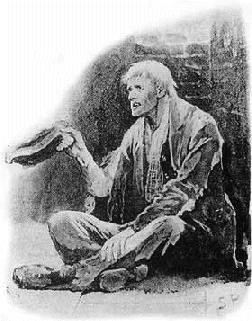 He became a mendicant holy man, sleeping in corners of abandoned buildings, dressed in rags, covered in lice, living on alms, and eventually dying of malnutrition. It took another century for him to be sainted. This is somebody I can relate to… except for the sainthood, although considering his credentials, maybe I’d have a shot at that too! Many more of God’s followers look like bums than Hollywood stars. After all, it is the bitter life of the marginalized that drives them to grace. But there are exceptions like Boaz. Boaz was rich and powerful, with lots of land and plenty of servants. He was also godly, generous, and humble. He had it all. The patron saint of bankers and CEOs, perhaps, except that he lived for the benefit of others. On top of all that, he had royalty in his veins as great-grandfather to King David and through him the King of Kings. It’s unusual for someone with such heavy credentials to welcome grace, for someone who has it all to realize they have nothing with which to recommend them to God. The more you have, the more you have to lose when you’re stripped down to nothing but your bare soul. Boaz had to admit he was no better than the likes of a dirty, tattered B. J. Labre. Unlike caste in India or aristocracy in Europe, egalitarianism is the American way, but we have our own homegrown pecking order, and we know our place. We defer to those with more money, status, education, looks or what have you, and on the other side we expect to be treated better than “a common bum.” When people are smelly, unkempt, crude, or slow they get treated differently… I’m ashamed to say that I too react as though they are less deserving. Tragically, human hierarchy destroys grace, no matter where you rank yourself. 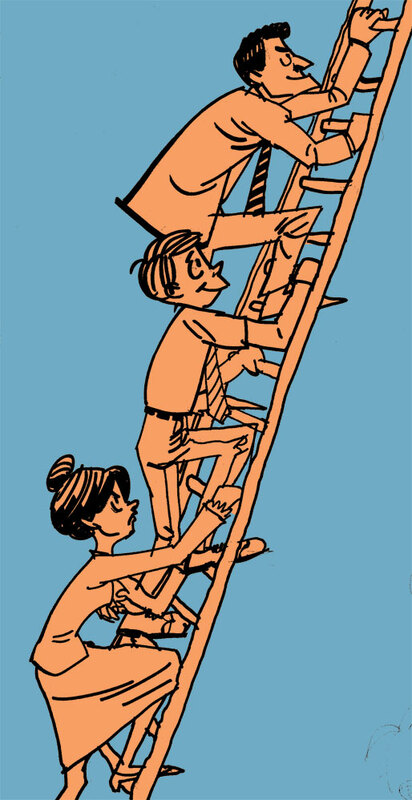 Wonderfully, the gospel knocks off all the rungs of our social ladder. We are all penniless. We come to God with empty pockets. At first glance, it seems sad that we are all bankrupt, until we realize that an empty account is the one prerequisite to receiving grace. When we come to the end of ourselves–our efforts, our pedigrees, our abilities–the gospel finally makes sense. If we are full of ourselves, we cannot be full of God. For those of us who feel we are near the bottom rung, there is no sweeter sound than the tintinnabulation of grace. I am on equal footing with Boaz, Bono, and Billy Graham. The canonized saints have nothing on me when it comes to the love of God. I am just as much His favorite. The more screwed up I am, the more He loves me. That’s amazing enough to make a pig sing the Hallelujah chorus!